Linn Energy (LINE) (LNCO) traded closed below $10 a unit on December 15, 2014, marking both a 52 week low, and lows not experienced since the December 2008 financial crisis. During the 2008 crisis, oil reached a bottom in the $35 range, whereas currently we are just reaching the $55 per barrel range. Why is the panic so much more acute today than the time period politically labeled as the “Greatest Recession since the Great Depression?” Are we entering an even bigger Depression? That question I may have an opinion, but will not attempt to answer in this article. What I will provide readers is a clear nuts and bolts view of why there is a run on the Linn Energy units, and why as the market approaches $55 oil per barrel on the front-end of the curve, the investor sentiment is warranted. The big issue facing common unit holders of Linn Energy is the over-extended financial structure of the business, i.e. financial leverage. While Linn Energy is well hedged with favorable $90 oil derivative contracts for the next several years of production, the reassessment of the value of its proven reserves is expected to severely stress its financing capacity in the very near future. In addition, even with the hedge program, the drop in oil price will still place a burden on cash flow to pay distributions while continuing to maintain a steady capital expansion program. If drilling is constrained for any period of time at Linn Energy, the current high oil production rate will decline rapidly given the characteristics of the proven undeveloped reserves that Linn Energy owns (light oil, high concentration of NGL and Natural Gas). The cost structure of the company makes the oil production “cliff” a particularly onerous problem. Based on an assessment of the financial position of the company contained in this article, investors should expect a radical down-sizing, or even complete elimination of the $.24 monthly distribution level which is currently a 28.76% yield. On October 30th SandRidge Permian Trust (PER) announced its quarterly distribution for production during the time period of June through August 2014. During the summer the energy market showed high oil prices throughout that benefited the Permian Trust which has 86% its production in crude oil. The spread between WTI and WTS crude oil widened during the quarter causing a slight decline in price level realized by the Trust. The distribution announcement was greeted with a rally in the market as the units traded up from $9.50 to $9.93 per unit on the day after the press release. However, the information released may not have been the primary factor in share price movement during the day. On Halloween the entire market experienced what is being reported by experts as a massive global shortcovering rally because of the announced changes in Japan monetary policy and pension fund allocation. The unit price movement in Permian Trust units in the five day period leading up to the announcement was probably more indicative of the change in short-term sentiment about the Trust units, rising from $9.00 to the most recent $9.93 closing price on October 31st. As we approach the 2014 mid-term elections, U.S. fiscal policy is an economic headwind without any apparent current political movement to change. The relatively tight policy as measured by rate of growth is a counter inflationary force foremost, but also potentially slows down economic growth. You can see the evidence that the present fiscal policy is currently tight by reviewing the August 2014 year over year fiscal expenditure growth rate compared to previous years when the stock market peaked. This data is surprising to many investors because they are so accustomed to hearing how Washington is out of control from a spending standpoint. The data, however, is actually pointing in a different direction presently. Fed policy continues to be aggressively accommodative going into year-end 2014, even as it is projecting a wind down of the massive $1.54T QE program begun in January of 2013. Quantitative Easing – Is it Inflationary or Deflationary? On May 15, 2014 the CPI index was published in the U.S. which showed general price increases as measured by the BLS were a meager 2% annually. 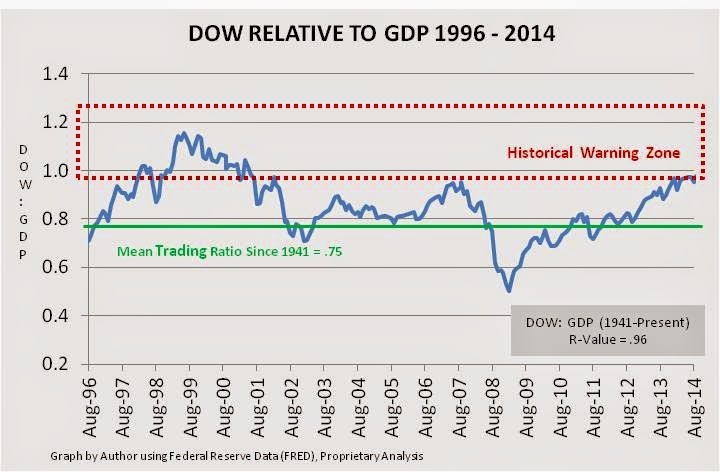 This was after a year of massive bond buying by the Federal Reserve. During the same year over year period, the Fed added $1.162 Trillion dollars of liquidity into the worldwide economy. What exactly is going on? The population has been led to believe that when the Federal Reserve “prints” money, the economic result is inflation. Chances are that the current path taken will result in a similar outcome. 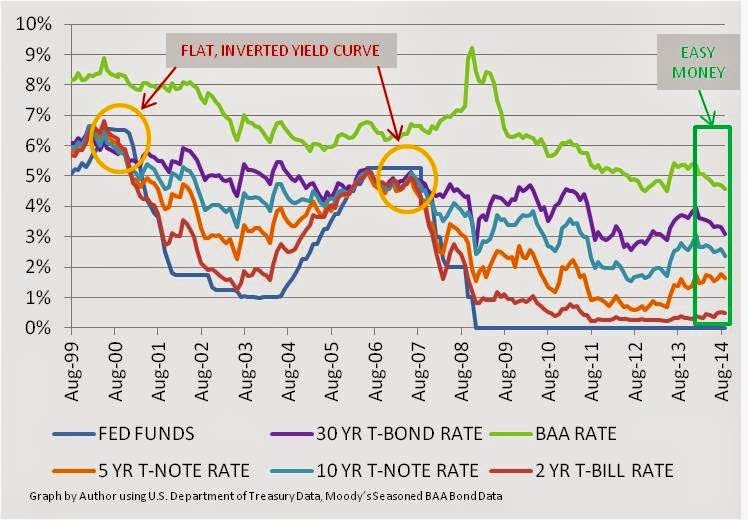 However, if you are looking at the present financial market and believe the Fed may have found the Golden bullet on how to tame inflation – simply lower interest rates to zero percent and flood the market with cash – think again. Why? It is actually very simple. It depends on where all the cash, goes. And eventually, the Fed is not in total control of where the excess money goes. Nervous Investors Move to Bonds just like Belgium? I have run across data that belongs in the category of strange and unusual in the May 15th publication of the TIC data (Treasury International Capital Report). 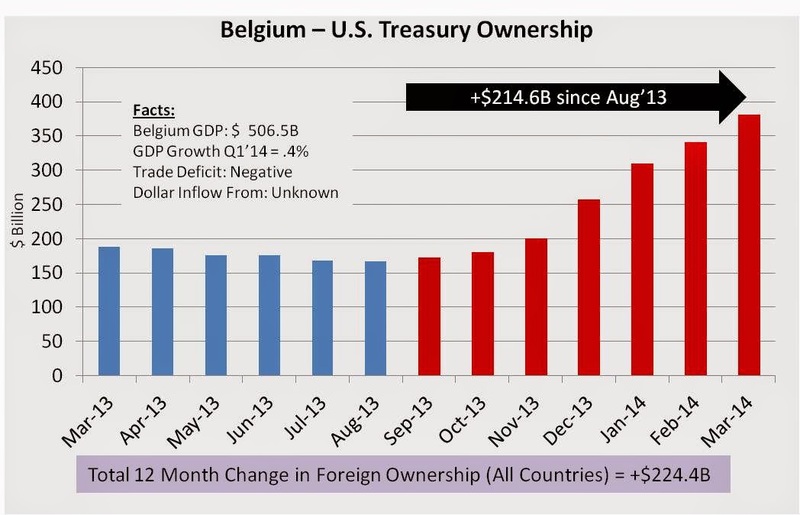 The strange aspect of the data is that in the published figures, the tiny country of Belgium with a GDP of only $509B, somehow managed to purchase $40.2B in Treasury securities in the month of March. The purchases follow a six month barrage of purchases by Belgium in which $214.6B in Treasuries were added to security accounts held in the country. Based on the data, Belgium has escalated to third, behind only Japan and China (mainland) in the rankings of foreign countries which hold the most U.S. Treasury reserves. Theory of Financial Relativity: Powerful New Book Helps Protect Investments, Exposing Framework for Predicting Market Trends. Masterfully crafted by investment guru Daniel Moore, ‘Theory of Financial Relativity’ explains why financial markets suddenly change course and how these changes can be predicted. By meticulously studying U.S. financial markets from WWII to the present day, Moore has uncovered fourteen market corrections that display a predictable pattern of change. Sharing this information with the public for the first time, Moore’s work is poised to help millions protect their investments and take advantage of their movements for success. 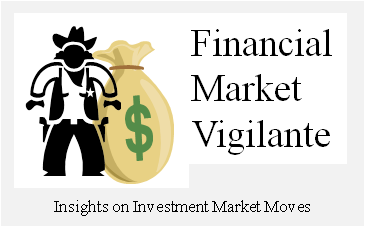 Durham, NC –Both consumers and critics traditionally treat U.S. financial markets as a volatile and unpredictable world that could drastically change direction at a moment’s notice. While this theory holds a shred of truth, a powerful new book exposes the previously unknown and systematic pattern of ‘ups and downs’ that can actually help investors predict when a bull will become a bear. Everything is showcased in ‘Theory of Financial Relativity’ by Daniel Moore. Hailed as “the most interesting man in the financial world,” Moore has spent hundreds of hours combing over seventy years worth of market trends to expose a game-changing and predictable pattern. On Friday, May 2nd the April jobs report was published by the U.S. Bureau of Labor Statistics showing that 288,000 new non-farm payroll jobs were created in the month. It was the strongest month to month growth since January of 2012. In addition the unemployment rate fell to 6.3%, with 138.252 million people estimated to be employed during the month. This is the highest total number of employed people since March of 2008 and is on the verge of becoming an all-time high in terms of total employment. The information was published a day after both the DOW and S&P500 (DIA) (SPY) set new all-time highs. The immediate response by the market when the jobs information was released was a jump higher. However, by mid-day the market was slightly down, seemingly unimpressed by the job figures, and ended the day on a down tick. Why? Research has shown that while jobs are of course an important economic indicator, they are always a trailing indicator. Anyone trading stocks on the jobs report is searching for fool’s gold. The more important aspect of the jobs report is whether the data causes an unexpected change in the expected direction of market influential factors that do impact stock valuations.